If you are looking to invest in an AC installation in Avon, IN – you want a contractor that bring the best results in your home. You want HomePro Heating & Cooling. Unfortunately, getting a new air conditioning unit for your home is easier said than done. In order to get the best results, there are a number of things that need to be taken into account. Some of which we will go through in this article, as at HomePro Heating & Cooling, your comfort is always our number one priority. This is by far one of the most important aspects of getting a new AC unit in your home. Finding the right contractor to handle the job is paramount to the comfort of your home, and the returns on your investment in terms of comfort, and affordability. Even if you buy the best air conditioning unit that money can get, a subpar installation will leave it all for naught. That is why it is important to find a reliable HVAC provider that you can trust to handle the AC installation in Greenwood, IN. HomePro Heating & Cooling is not only a proven contractor when it comes to installations for both heating and cooling units. But we are also endorsed by the Better Business Bureau, which just puts merit behind the quality of service that we offer to each and every customer. The size of the unit in relation to the area that it will have to cool in square footage. What type of air conditioning unit best suits your preferences. The ideal locations in your home to install both the indoor and outdoor units. The Seasonal Energy Efficiency Rating (SEER) of the unit. You may start to feel overwhelmed with all of these factors that need to be taken into account when investing in an air conditioning unit for your home. How on earth do you know what’s best? You don’t need to. HomePro Heating & Cooling technicians are N.A.T.E certified. That means we will help you find the perfect unit that not only meets, but exceeds all of your expectations when it comes to home comfort. All you need to do is get in touch with our friendly support so that we can help you. 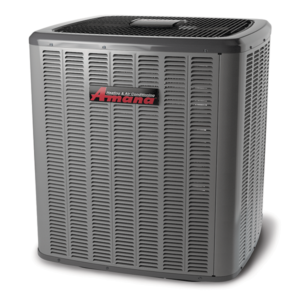 Would you like to find out more about our AC installation in Plainfield, IN, and the surrounding areas? We would love to help. All you need to do is get in touch with our friendly support staff to schedule an appointment at a time that best suits you. If you would like to schedule your appointment, you can reach out to the team through our Contact Us page. If you prefer a more direct approach, feel free to call our team at 317-271-2665. We would love to hear from you.